Waves, Lanes, Saunas, Whirlpools and more! There's always something happening at our North Vancouver Recreation & Culture pools. From our extensive aquatic programs to the ever-popular $2 public swim sessions, our 3 aquatic facilities help many North Shore residents keep active and pursue their love of swimming. Check our public swim schedules, lane swimming schedules, public swim fees, and locker rentals before you head out to the closest North Vancouver Recreation & Culture pool. Registered lengths swimming opportunities are available at the Pinnacle Hotel pool. All participants must be pre-registered to participate. 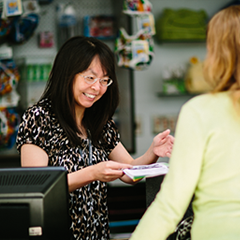 Register online, over the telephone, or in person at any North Vancouver Recreation & Culture facility. Call 604-987-7529 for more information.